Are you prepping for a new establishment opening? Planning a corporate event? A showstopping wedding? 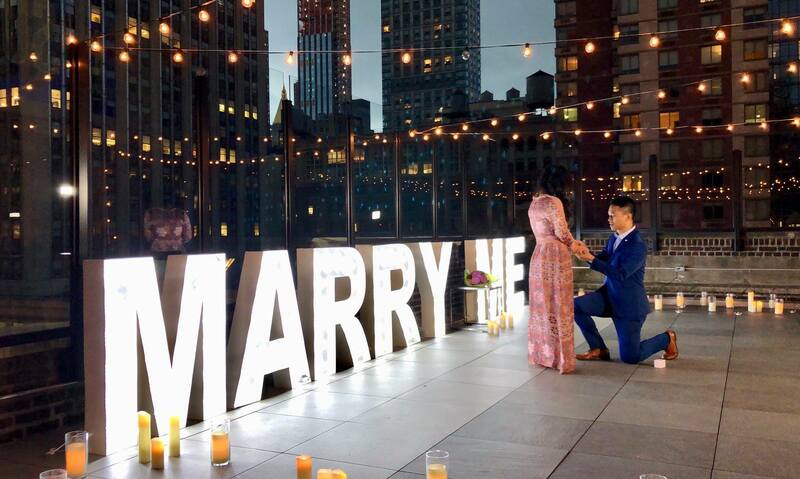 We have the perfect decor piece that will take your event to a whole new level: Rent Letters giant marquee letters! Let’s be honest – budget has to be one of the, if not THE biggest factor when planning an event. You want the quality to be on-point, but buying 3 foot metal marquee letters simply isn’t an option when you’re trying to watch those numbers. By renting marquee letters, you get the best quality on the market without the expensive price tag. At just $189.95 per letter – including FREE return shipping anywhere in the continental United States – you won’t a find better solution to creating an affluent experience on budget. Our high-quality 3 foot marquee letters can be customized to any phrase or initials of your choosing, and our customer service team is committed to making sure you receive our product safely and on-time for your event. Whether your party is for a corporate event, work holiday celebration, or a birthday party, these marquee letters steal the show every time.